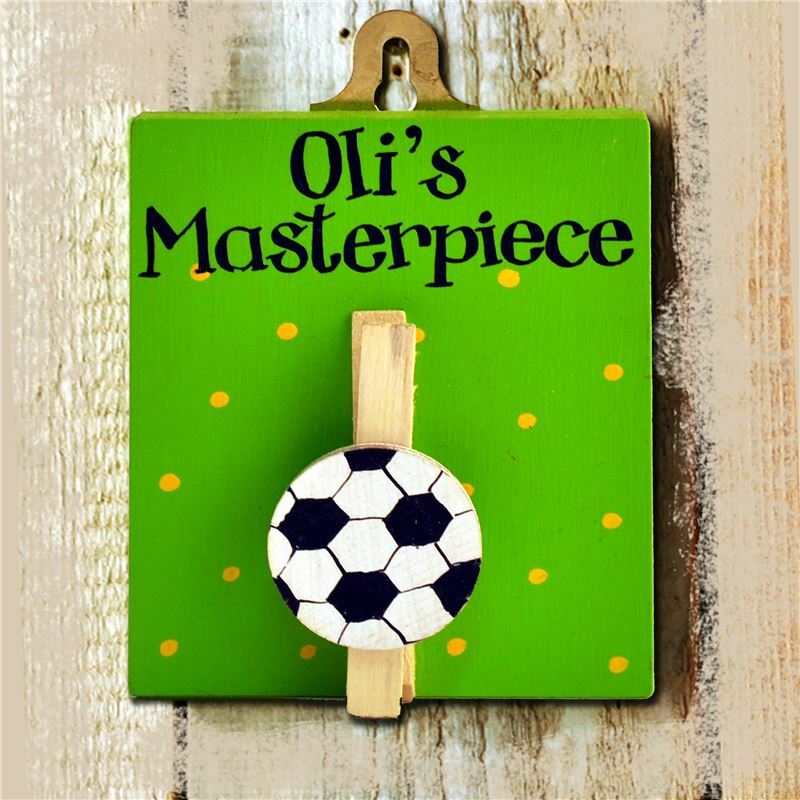 Order this knock out personalised art work peg decorated with a football motif. Hang up your children’s art work with style. Free your fridge at last!